Mechanical growth factor MGF is one of the types of insulin growth factor. It is formed in the liver, under the influence of the hormone, which is responsible for growth. Somatropin begins its work in response to heavy loads and tissue damage. The drug increases the mass of muscles, which are activated due to stem cells. Muscles are of good quality, but the mass is dry. The growth is due to the acceleration of the multiplication of cells and the increase in the volume of muscle cells. In diseases and aging of the body, the mass decreases. This is due to a decrease in the secretion of the natural hormone and the impossibility of using a mechanical factor. After the first injection, the breakdown occurs within 2-3 minutes. To achieve a good result, injections are necessary in half an hour-hour. However, in order to increase the half-life, pegylation, a compound of polyethylene glycol and protein, is used. The human body does not react to this component, thus creating a barrier to protein and peptide, increasing the period of action. Pegylation is used for drugs that are exposed to enzymes. PEG is not toxic, does not affect negatively on the liver. This substance has a flexible structure that performs the protective function of the amino groups. An inert agent does not appear in the body and does not have a negative effect. PEG examined different laboratories and clinics. It was tested and applied in the US and Russia, as well as many other countries. PEG is an excellent base and binding agent for products, cosmetics and pharmacology. Pegylation makes taking the drug more easily and efficiently, lowers the dose and improves digestion. Widely used PEG MGF in bodybuilding, for its pegylated factor. The standard dosage is 200-400 mcg 2-3 times a week. It is recommended to use the usual dose, since the increased dose will not give effectiveness. Injections are injected in the morning. On the day of training before the start for 1-2 hours, or immediately after, to maximize the imitation of secretion. This scheme is better, but does not need to be applied. The course lasts 7-9 weeks, but can last longer, if necessary. Enter the drug intramuscularly or subcutaneously. Bodybuilders use it to activate specific muscles and a general background. The injection directly into the muscle is particularly effective. 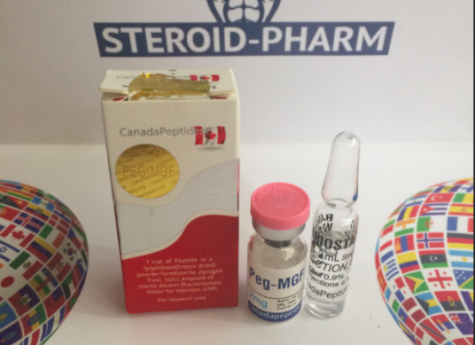 Studies of MFR have shown that the peptide affects the growth of muscle mass. 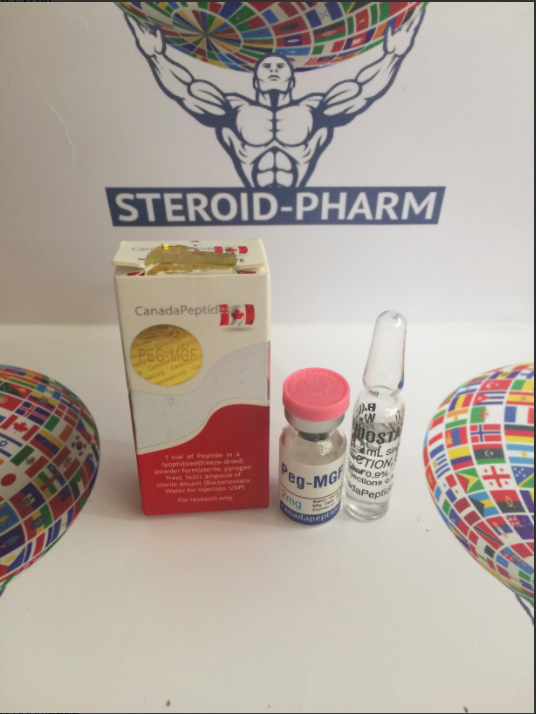 Also, some studies have shown that good muscle fiber growth rates of 20% are observed with injections for 2 weeks. The injection of the injection into the target muscle must be symmetrical from different angles. Injections into the fat layer can not be stabbed in one place more than once a week, and it is also recommended to move a few cm from the previous one. The detailed scheme of reception and dosages is made individually. Our specialists will help you to prepare a course for taking Peg MGF. Store the drug in undiluted form at a temperature of 2 to 8 degrees Celsius above zero.